We’d love your help. Let us know what’s wrong with this preview of The Atlas of Languages by Bernard Comrie. An extremely authoritative writing style, full-color illustrations, and maps combine in this ultimate exploration of the evolution of languages. To ask other readers questions about The Atlas of Languages, please sign up. 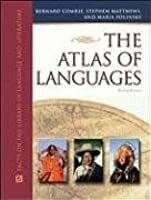 This is not a deep, heavy work, it is intended to be an overview of languages around the world - an Atlas of Languages. It takes each continent and describes the languages found there, starting with Europe and Eurasia, then South and Southeast Asia, Africa and the Middle East, the Pacific, Australia, the Americas and then Pidgins and Creoles. 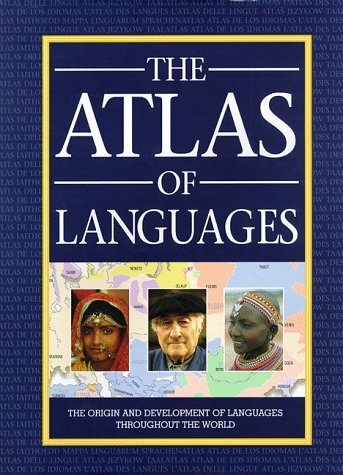 You would be amazed at the way that different languages look at different things, from the word order of a sentence to the way nouns relate to verbs (try t This is not a deep, heavy work, it is intended to be an overview of languages around the world - an Atlas of Languages. It takes each continent and describes the languages found there, starting with Europe and Eurasia, then South and Southeast Asia, Africa and the Middle East, the Pacific, Australia, the Americas and then Pidgins and Creoles. You would be amazed at the way that different languages look at different things, from the word order of a sentence to the way nouns relate to verbs (try the Ergative case if you want something to try and figure out). The scope of the book brings into focus the relationships among language groups: I was very well acquainted with the Indo-European language family, having devoted years of graduate school to its study, but the others are equally as fascinating. So are the isolates - one can only imagine how wide-spread Basque may have been prior to the arrival of Indo-European speakers to Iberia a millennium BC. For that matter, where did Korean come from. Or would it surprise you to know that all the polynesian languages (Tongan, Maori, Samoan, Hawaiian, etc.) all had their roots on the island that is now Taiwan and are cousin languages to the languages of Philippines, Indonesia, Melanesia, Micronesia and the minority languages of Viet Nam and Cambodia. Die drei Sterne gibt es, weil das Buch eine Menge Informationen zu einzelnen Sprachen oder Sprachfamilien enthält. Es beschreibt etliche grammatische Eigenheiten oder Besonderheiten, die es lesenswert machen. Allerdings sollte man den Anspruch, ein BILDATLAS der Sprachen zu sein, nicht zu ernst nehmen - dafür sind die Karten zu grob und nicht detailreich genug. Die in den Karten enthaltenen Informationen kann man auch in vielen anderen Büchern zum Thema finden, sie bieten keine besonders guten In Die drei Sterne gibt es, weil das Buch eine Menge Informationen zu einzelnen Sprachen oder Sprachfamilien enthält. Es beschreibt etliche grammatische Eigenheiten oder Besonderheiten, die es lesenswert machen. Allerdings sollte man den Anspruch, ein BILDATLAS der Sprachen zu sein, nicht zu ernst nehmen - dafür sind die Karten zu grob und nicht detailreich genug. Die in den Karten enthaltenen Informationen kann man auch in vielen anderen Büchern zum Thema finden, sie bieten keine besonders guten Informationen. This is a textbook I am reading for my Languages of the World course at the University of Georgia. While the reading level reminds me of a high school social studies book, I am fascinated by the information provided, as well as the many charts and maps. If you are interested in learning about world languages but don't have a background in linguistics, this is the perfect book for you. Even if you are familiar with linguistics, this is probably useful for you as well. Great reference! Haven't read it in a long while, but it's still on my bookshelf. 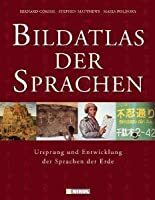 This book provides a great overview of languages and writing systems. I read it as an introduction to linguists. Fascinating.